Curtis Dawkins is a rising star in the literary world. 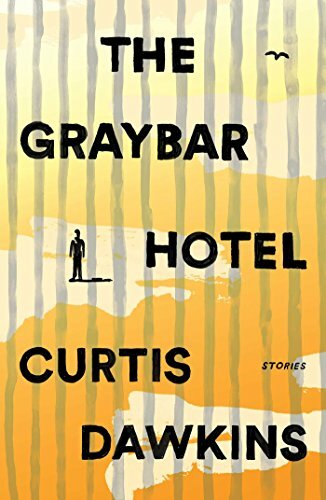 He graduated from Western Michigan University in 2000 with an MFA in fiction writing and recently published his first collection of short stories, The Graybar Hotel. He is also a convicted murderer, currently serving a sentence of life without parole in a state prison. How that fact plays into the critical and popular reception of his collection will provide great insight into American attitudes regarding crime and punishment. Does it matter that Dawkins, who is blessed with a rare talent that he has honed into a professional skill, wrote this book while imprisoned for murder? In this country, and perhaps everywhere, it certainly does. That says something about us. How does it matter? Many will argue that Dawkins should not be allowed to write while in prison. Others will insist that Dawkins not be allowed to profit from his writings. America is a punitive nation; when we send someone to prison our common sense dictates that this person loses everything. Fortunately for readers, the U.S. Constitution guarantees everyone, including prisoners, certain freedoms. One right that cannot be taken away, even from the lowly prisoner, is the right to write. Hence, The Graybar Hotel exists in our literary pantheon. It's a good thing, too, because Dawkins can write. His prose skillfully carries the reader directly into the setting of all of his stories: the jailhouse or prison. He captures this unnatural and uniquely terrible world with precision and clarity. Most readers haven't spent time incarcerated; all will come away from this superb collection feeling as if they have. Death, boredom, suicide, overcrowding, loneliness, mental illness, addiction—all of the plagues of incarceration are present and accounted for in this collection. But so is the humanity of the prisoner. Dawkins treats the reader to a peek inside the heads and hearts of the people who live their lives in jails and prisons. It turns out that they have hopes and dreams just like everyone else. There are those who will object to a convicted murderer penning and publishing a book from prison. After all, Mr. Dawkins' victim lost his life. But prison is the punishment that the justice system has deemed fit for Dawkins' crime. As such, he retains his life and his talent as a writer. There is no good reason that either of these should be wasted.